Published 2010. Complete and unabridged. 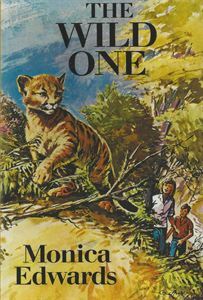 A young ‘big cat’ is seen in the Punchbowl, and there are those who want to catch it, but for the Thorntons and their guests, the cub must either stay in the Punchbowl or go to a proper animal sanctuary. Needless to say it is Lindsey and Roger who are most involved, and we have some very thrilling times with them before all is satisfactorily resolved. Shelley Edwards has written a fascinating introduction, and John Allsup has written the publishing history.